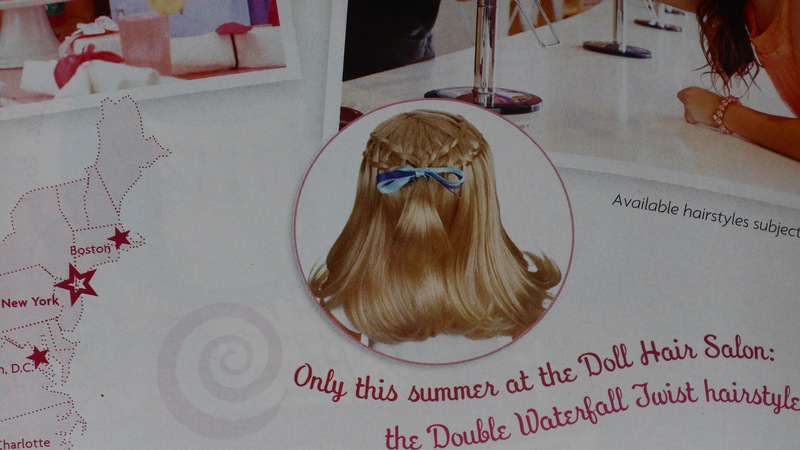 I don’t know about you but I love this hairstyle. It is so pretty, but I wouldn’t want to pay $20 for it. 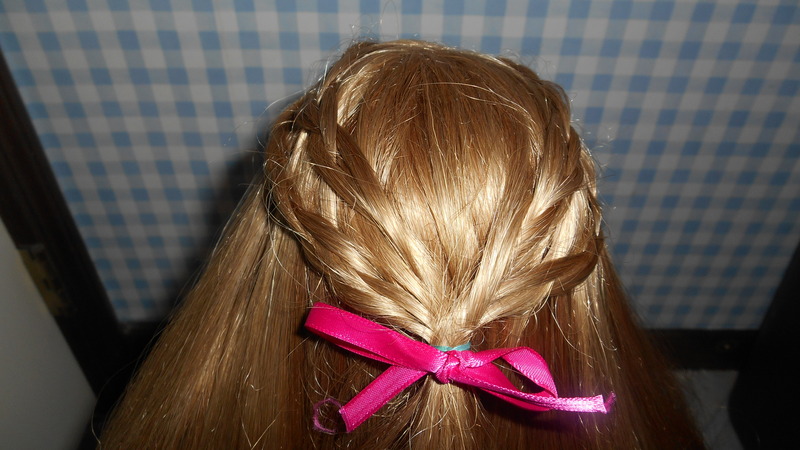 I have done waterfall braids before, and I took a look at it, and knew how to do it. 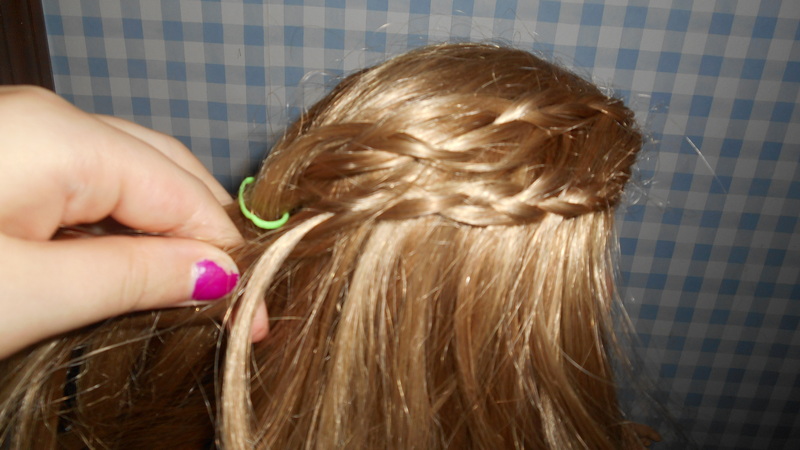 I am not very good at waterfall braiding, but I tried. 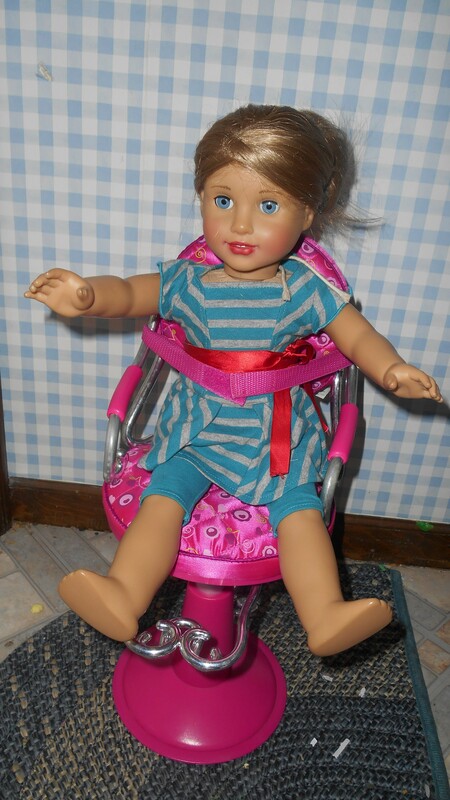 First, put your doll in a hair chair if you have one. Mckenna is my model today. 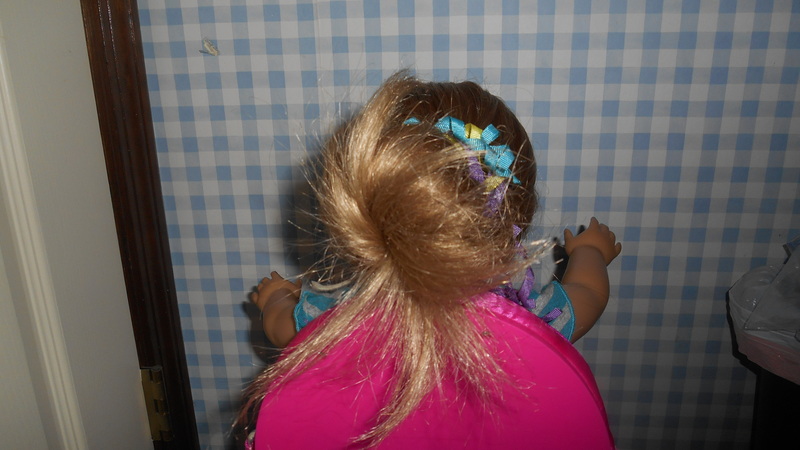 Take the hairstyle that she is wearing out, if she has one. 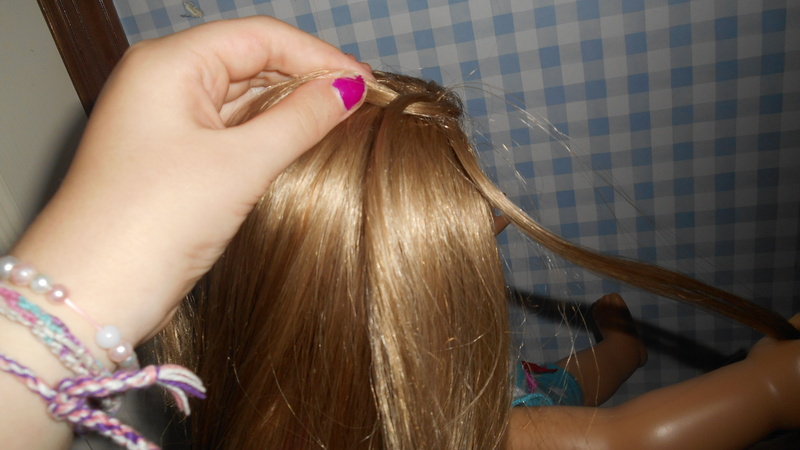 Take a piece of hair from the front of your doll’s head and divide it into three parts. 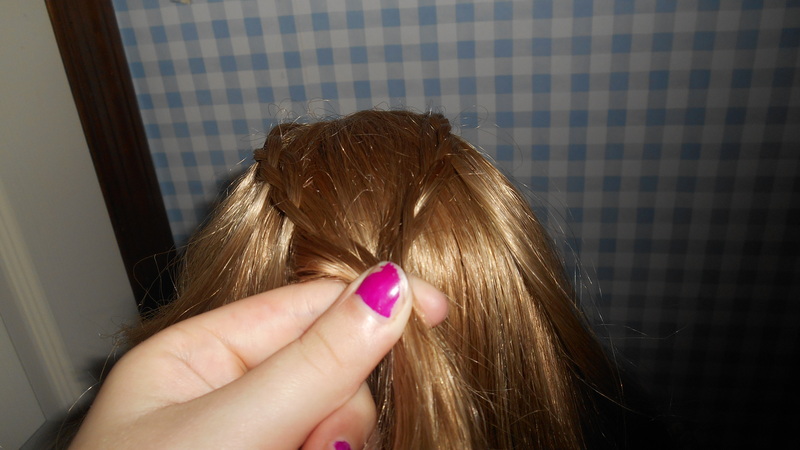 Start braiding, but only cross over two strands. Drop the one that you just crossed over, and pick another strand, from the place you dropped it. Continue doing that, until you reach the middle. Loop a rubber band around the end. 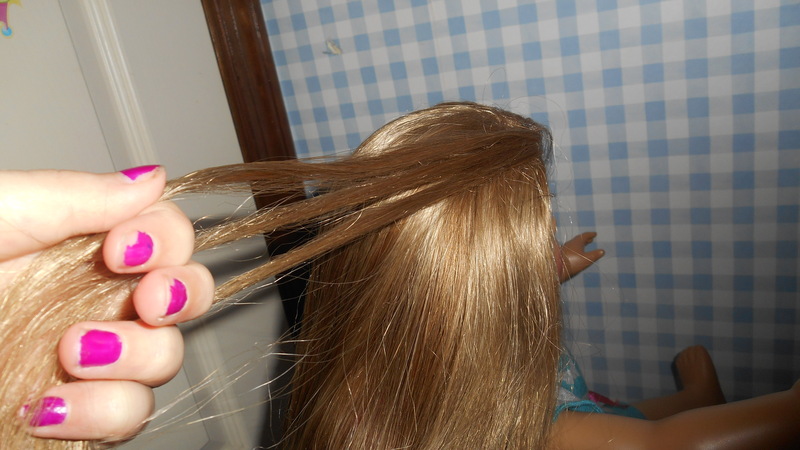 Do the same thing on the other side, and loop the rubber band around them both. 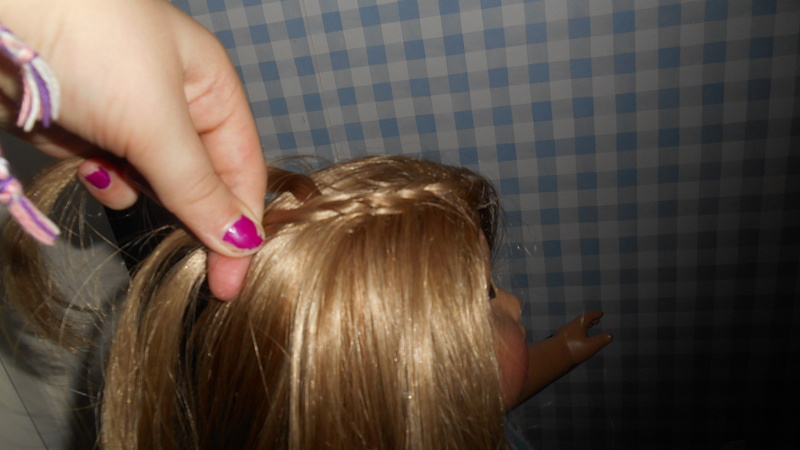 Brush the hair under the braids. 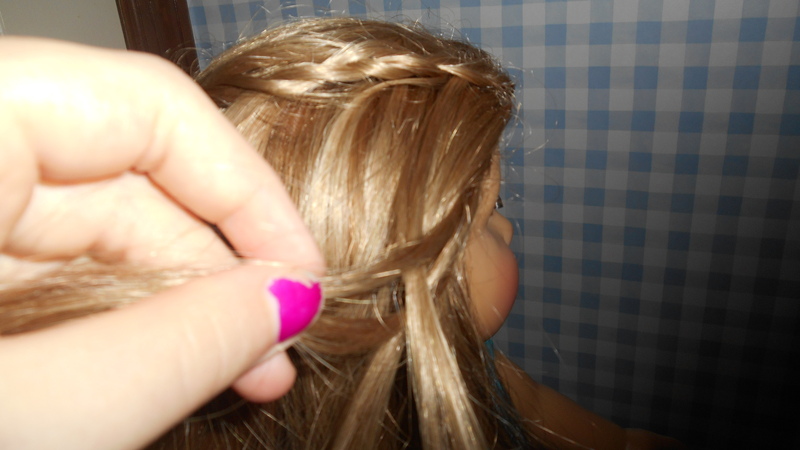 Start another braid under the first one, but when you drop a strand pick up the dropped one from above. 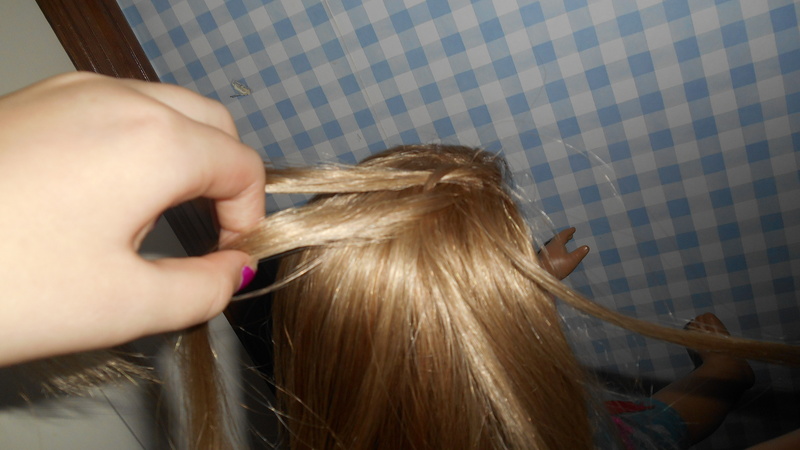 Slide that braid in the rubber band, while you finish the other side. 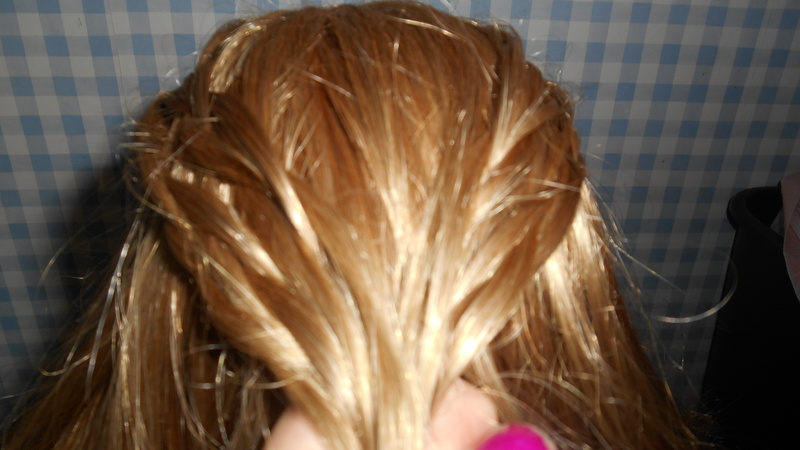 When you finish the other side grab all the strands and twist them. 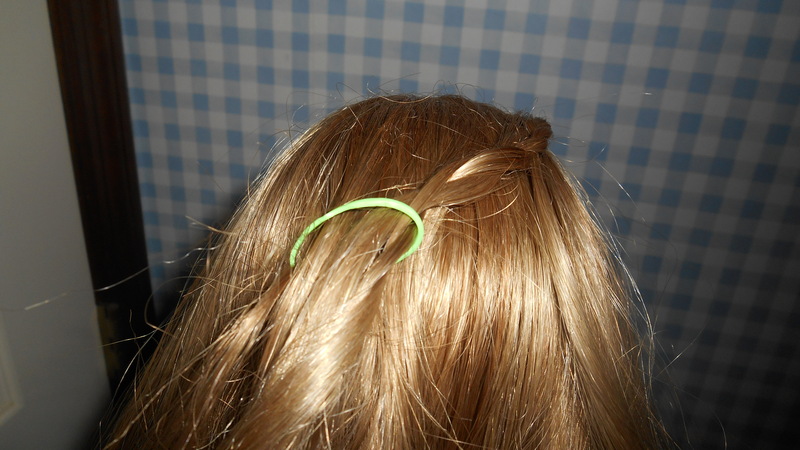 Tie it off with a rubber band, and if you want, a ribbon. Not perfect but pretty good. 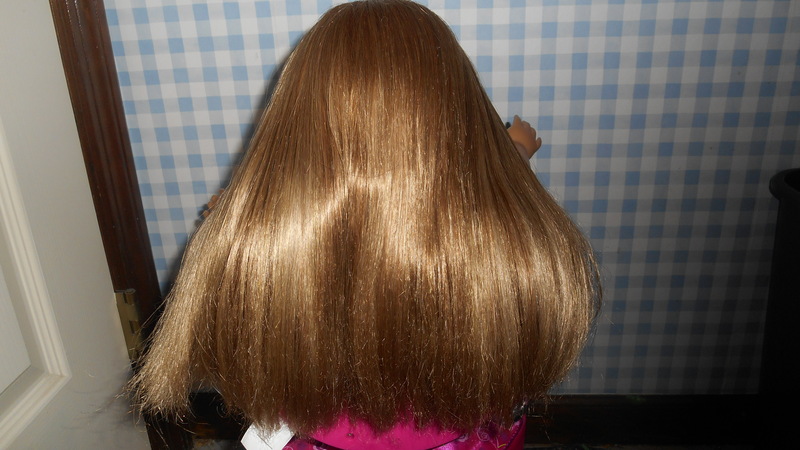 Now you know how to do a hairstyle, and save $20.